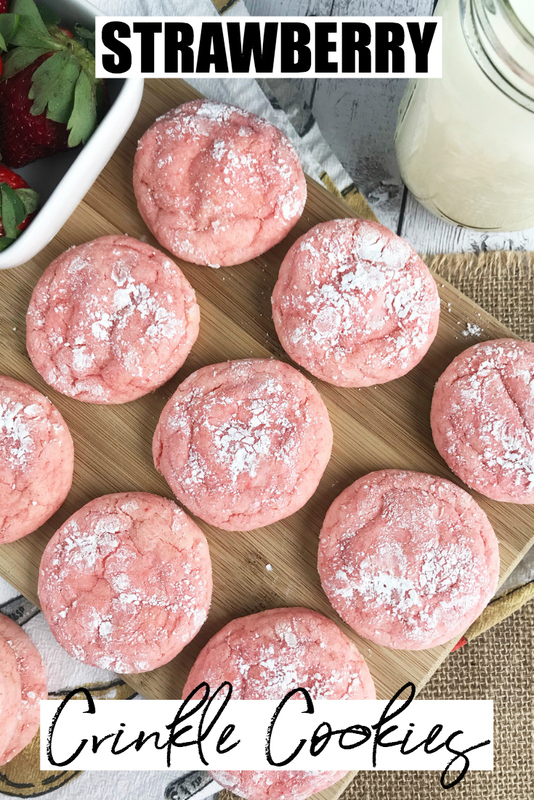 Sometimes the easiest of recipes are the most delicious, and that is true for these Strawberry Crinkle Cookies. One of the many ways I incorporate learning with Bella is through baking. 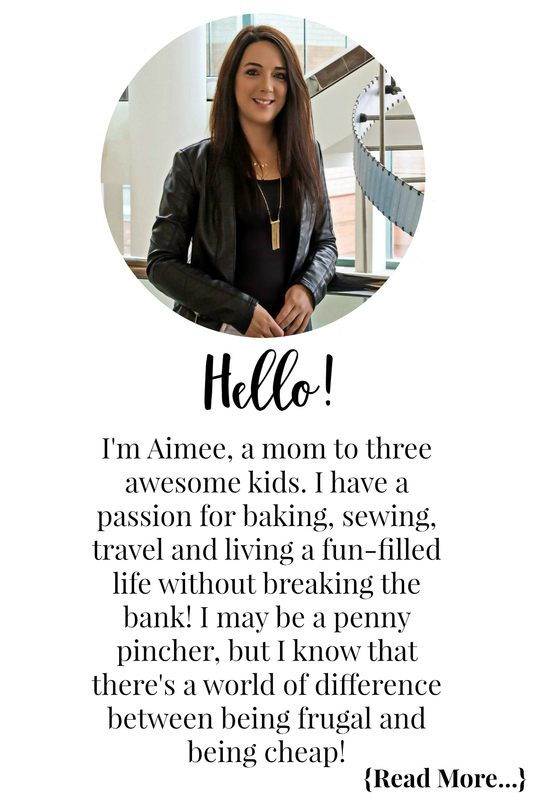 It is a great way to teach measurements and how to follow directions without being too formal. Whether you make these with your little one to incorporate learning, or on your own, this is one recipe that you have to try! 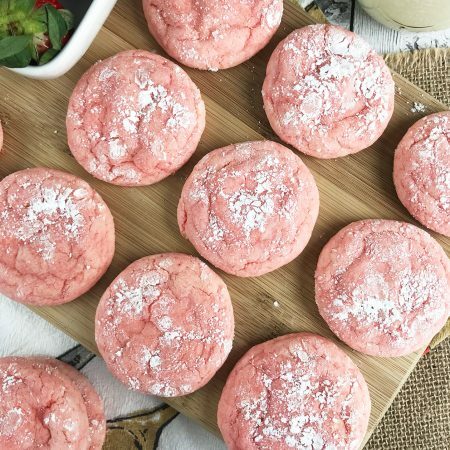 These easy strawberry crinkle cookies take no time at all to whip up. 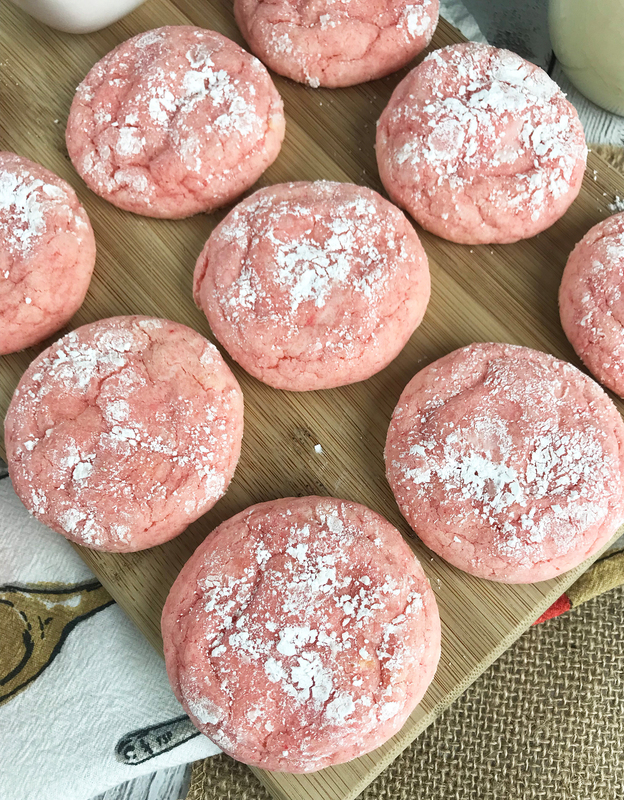 Get the printable recipe below and make some time for these delicious cookies soon! 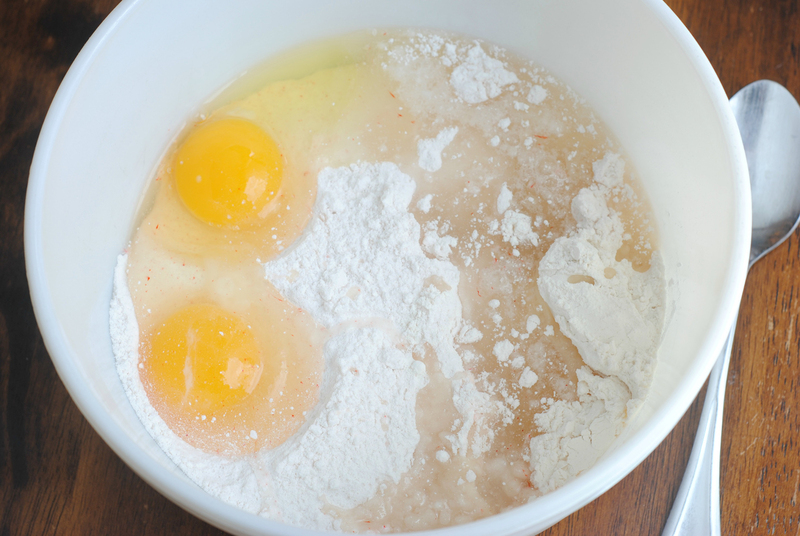 Combine the strawberry cake mix, vegetable oil, flour and eggs. Roll the cookie dough into 2″ balls and slightly flatten. 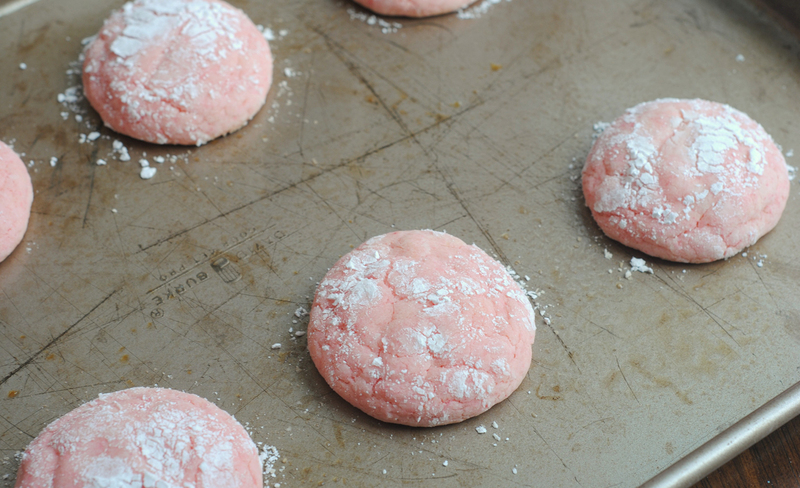 Dip your cookie dough into the powdered sugar, completely coating. Place your cookies on a baking sheet 2-3″ a part and bake them for 8-10 minutes. Remove your cookies from the oven and let them cool completely before enjoying. 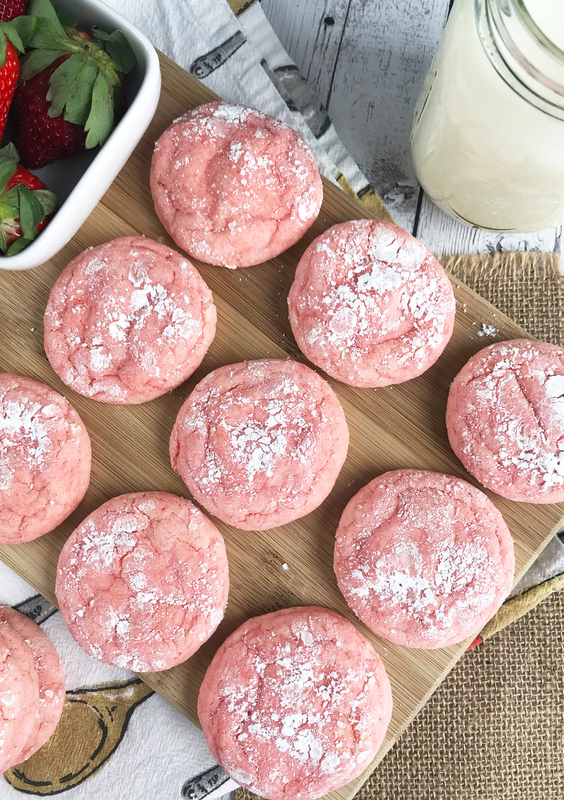 These easy strawberry crinkle cookies take no time at all to whip up. So grab the ingredients and make some time for these delicious cookies soon! Dip into the powdered sugar, completely coating. Place on a baking sheet 2-3″ a part. Check out the recipe section for more great eats!